1977 Graduated from the Sculpture Department of Tokyo University of art and design. 1991~92 Visited Milano (irregular student in Accademia Belle Arti di Brera) according to the artist overseas training system promoted by Japanese Agency for Cultural Affairs. The National Museum of Modern Art, Tokyo. The National Museum of Modern Art, Osaka. Aichi Prefectural Museum of Art. The Tokushima Modern Art Museum. Takamatsu City Museum of Art, Iwaki City Art Museum. 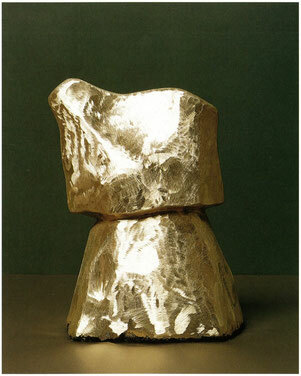 Constantin Brancusi, and Ideal Articles in Sculpture, Bijutsu Techou, 1991 February, p183-188. On Bronze and Plaster Versions of Auguste Rodin’s “The Gates of Hell” and Two Founders, Tama Art University Bulletin No.10, 1995, p.269-302. On models and bronze casting technique of Rodin’s “The Gates of Hell”, METALS & TECHNOROGY ( KINZOKU), AGUNE Press, Vol.66, No.4 1996, p.51-60. No.5 1996, P31-40. The alterations and corrosion products of outdoor bronze statues by foundries of Paris, Tama Art University Bulletin No.12, 1997, p.99-124. The surface condition and corrosion products on bronze statues of Meiji period I. −The observation of Statue of Arisgawanomiya Taruhito Sinnou Zou, Tama Art University Bulletin No.14, 1999, p.85-106. Kwon Jin Kyu – A descendant of Bourdelle, Catalogue of the exhibition of Kwon Jin Kyu, The National Museum of Modern Art, Tokyo, Musashino Art University Museum & Library, National Museum of Contemporary Art, Korea, 2009, p274-295. The art education of Takashi Shimizu and the sculpture department of Musaahino School of Fine Art in 1950s, Materials & Treatieses on Takashi Shimizu, Sculpture Department of Musashino Art University, 2009, p240-245. Observations on the conditions of “Peace Kannon Statue (ex-Triumph Kannon Statue)”, The Transaction, No.5, 2013, p.93-96. Epitome, Catalogue of the exhibition of “ET IN ALCADIA EGO”, Musashino Art University Museun and Library, 2013, p106-107.